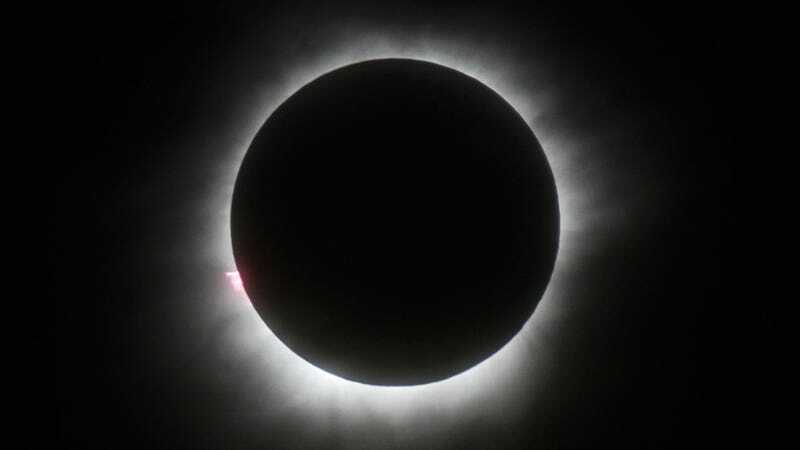 On August 21st, a shadow produced by a total solar eclipse will travel from the USA’s Pacific coast right through to the Atlantic coast—something that hasn’t happened in nearly 100 years. A new NASA animation shows where you’ll need to be to catch this once-in-a-lifetime event. NASA visualization artist Ernie Wright created this animation using an array of datasets, including information collected by the Lunar Reconnaissance Orbiterand the SRTM topography project. Wright had to factor in a tremendous number of variables, including the positions of the Earth, Moon, and Sun, along with changing elevations along the path of totality (the band within which a total solar eclipse can be observed). It’s the most accurate simulation ever produced of a total solar eclipse, showing the irregular and ever-changing shape of the moon’s shadow. Indeed, the shape of the penumbra (the shaded outer region of the shadow) is not what’s typically expected from an object as seemingly geometric as the Moon. The penumbra is irregularly shaped because the edge of the moon, or limb, is also irregularly shaped. The shadows produced along the moon’s jagged peaks and valleys is exaggerated by the angle of reflection, and by Earth’s surface features such as mountains and valleys. Combined, the effect is a shadow that looks more like a polygon than an oval. As mentioned, the eclipse is scheduled to occur on August 21st. Thankfully, that’s plenty of time for those of us outside of the path to organize a road trip. 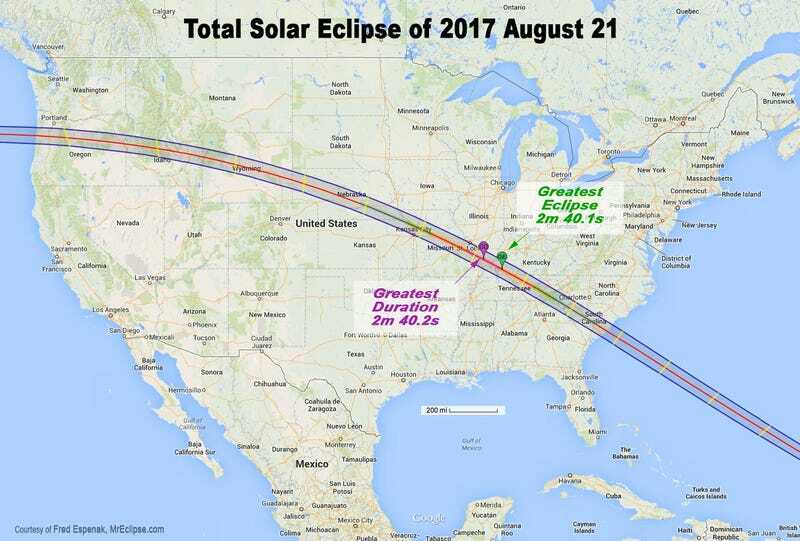 Correction: A previous version of this article had the incorrect date for the eclipse.